We report on Day 3 of the winter AAS meeting in Seattle, WA. 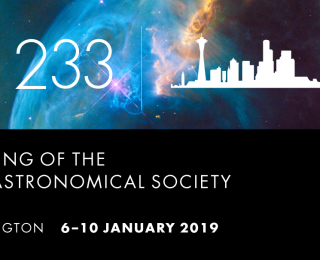 Highlights include updates in X-ray astronomy, the discovery of a second repeating FRB, an exploration of astrochemistry in planet-forming disks, and a look at the 2020 Astronomy Decadal Survey. 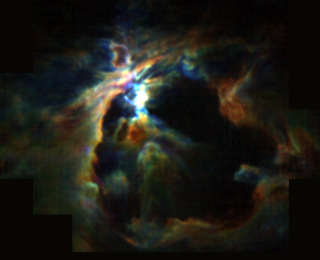 Exquisite measurements of physical and chemical properties of protoplanetary disks from ALMA hold important clues to the history of planet formation. Come listen to Dr. Lauren Ilsedore Cleeves’ plenary lecture at #AAS233 to know more! We report on Day 2 of the winter AAS meeting in Seattle, WA. Highlights include a discussion of the latest news in planet formation, an overview of future proposed space missions, and a look at the history of gravitational-wave detectors. We report on Day 1 of the winter AAS meeting in Seattle, WA. Highlights include a discussion of interstellar asteroid ‘Oumuamua, an overview of first results from TESS, a dragon in the Orion Nebula, and a look at the role identities play in astronomy. This year, the Chandra X-ray Observatory is celebrating its 20-year legacy. Dr. Ryan Hickox of Dartmouth College will explain how the resulting discoveries have shaped our view of the high-energy universe in his plenary talk at #AAS233. 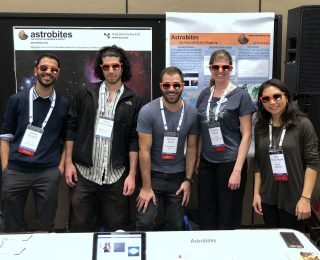 This week, Astrobites is attending the American Astronomical Society (AAS) meeting in Seattle, Washington! We’ll be bringing you highlights from the meeting all week long.